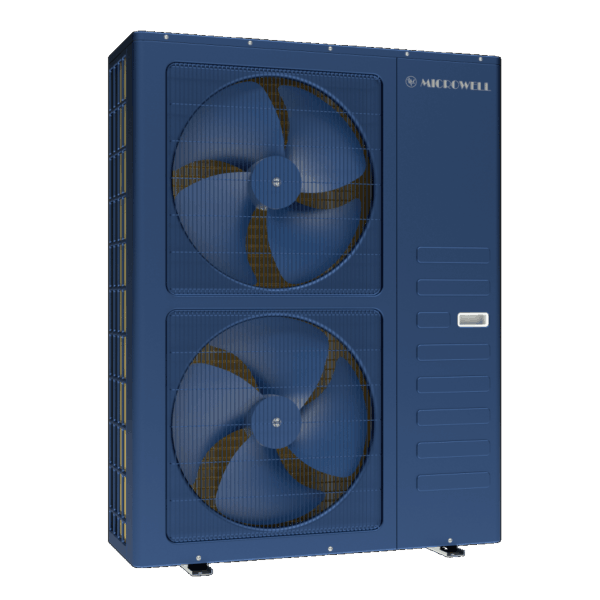 MICROWELL HP 2300 Inventor is innovative pool water conditioning solution. 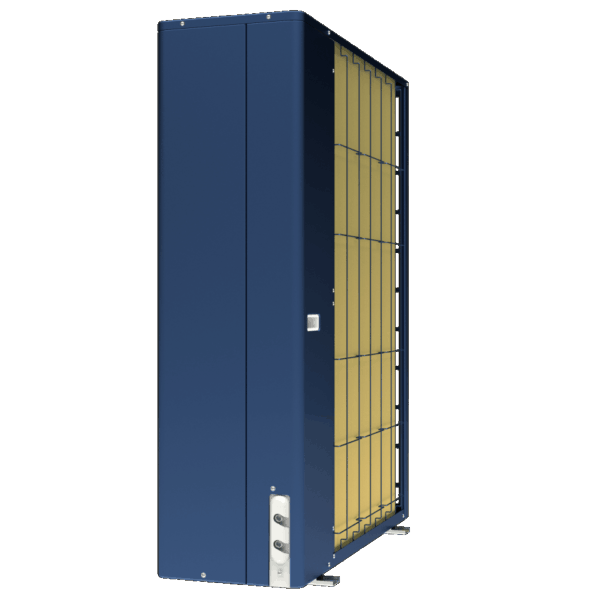 With 23 kW capacity it is optimised for larger pools, delivering continuous and stable production of water heating or cooling. 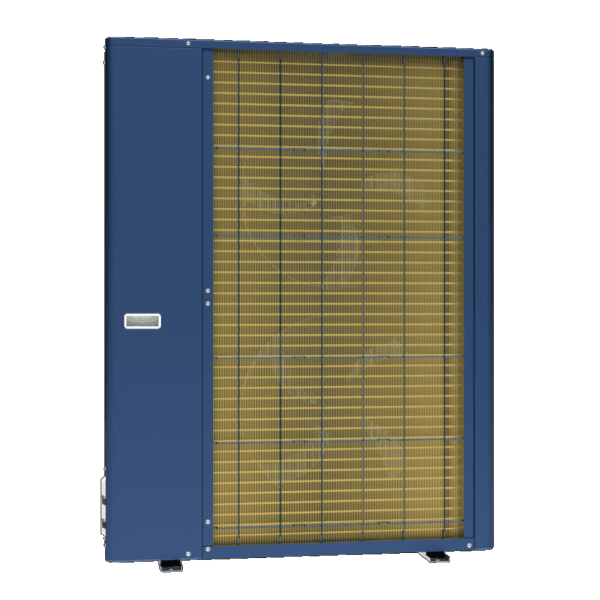 Designed on the principle of renewable energy source, MICROWELL HP 2300 is exceptionally efficiency, has low environment impact and low costs consumption; all a result of superior Microwell technology. 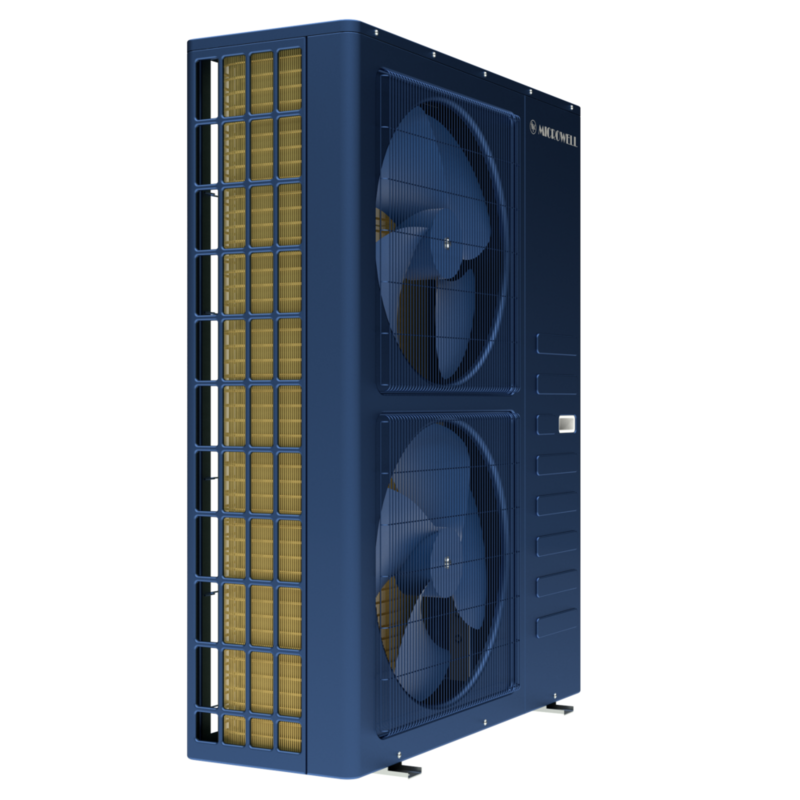 HP 2300 SPLIT INVENTOR is a powerful heat pump suited for pools up to 80m3 in volume. 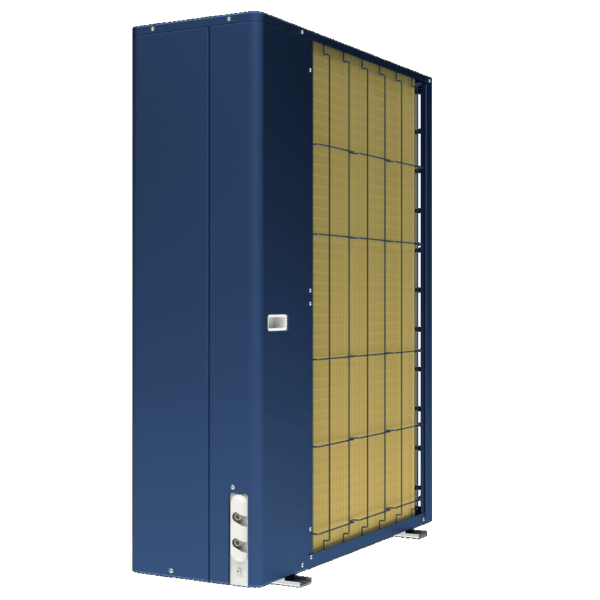 HP 2300 SPLIT INVENTOR can provide up to 27.2kW of heating at typical seaside conditions of air temperature 26°C, water temperature 26°C and air humidity 80%. 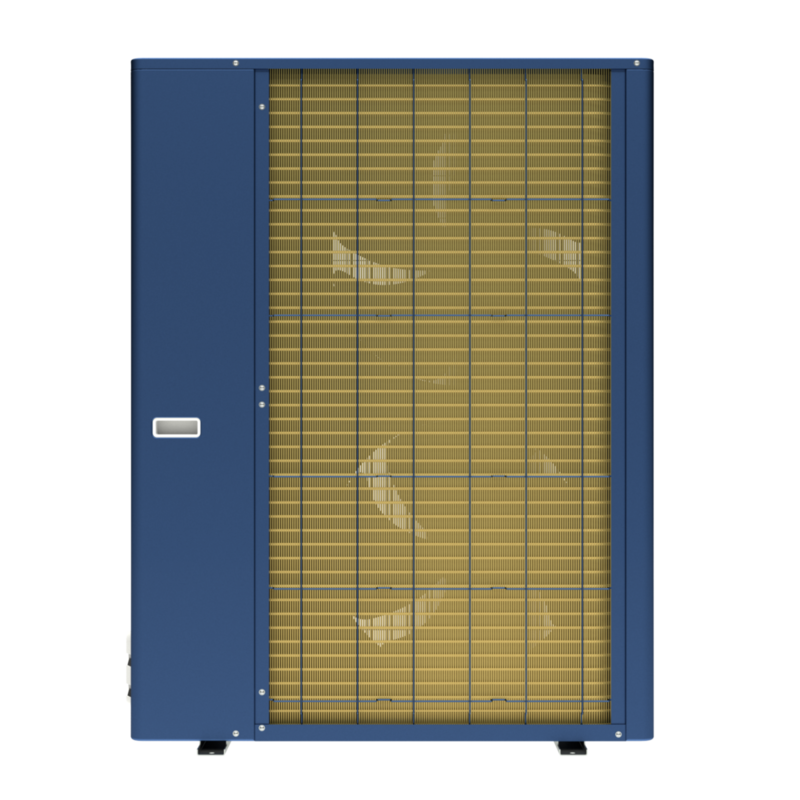 At typical inland conditions of air temperature 26°C, water temperature 26°C and air humidity 63% the heat pump provides with 23kW. 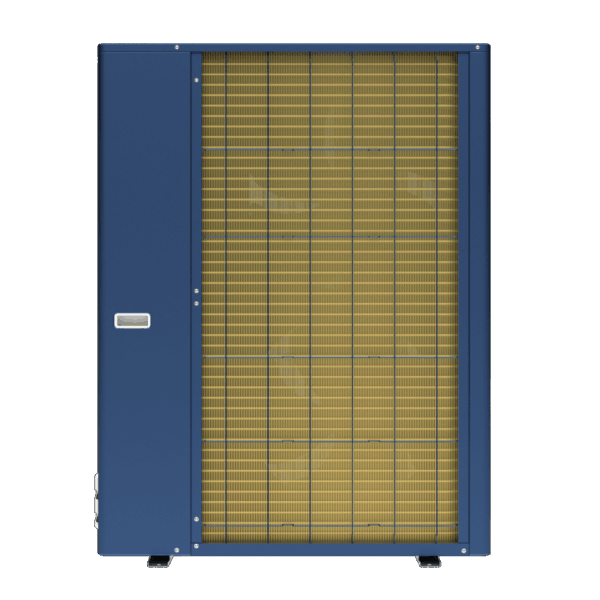 At dry conditions with humidity 35% the pump reaches above 20.9kW heating output. Self-cleaning color is a recent innovation by Microwell. 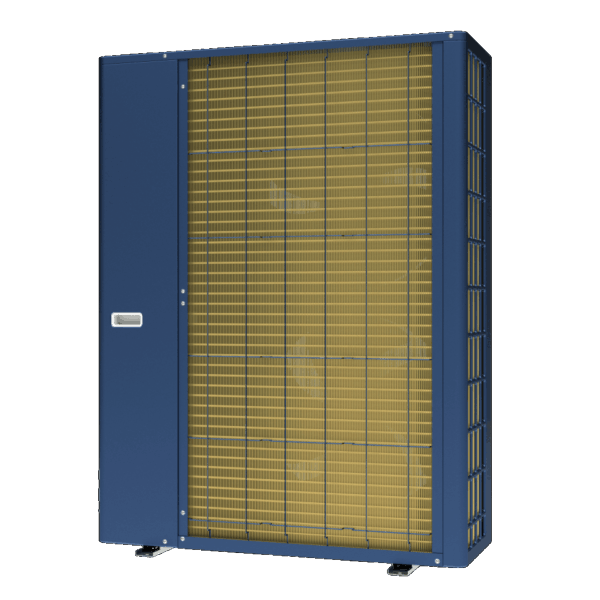 Main purpose is to ensure fresh and new look of the heat pump after years of working in exterior. The final finish is a special paint made on the basis of years of experience and the latest knowledge in the field of nanotechnology. 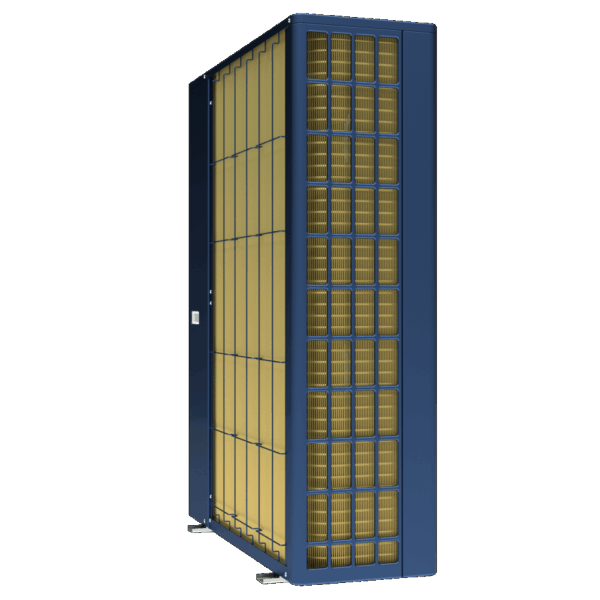 Color has nanopore structure that creates a microscopic film on the surface of the heat pump. Nanopores are too small for a dust or dirt to be caught up at. Despite that should any dirt be gathered on the cover, it will be washed away with the first rain. 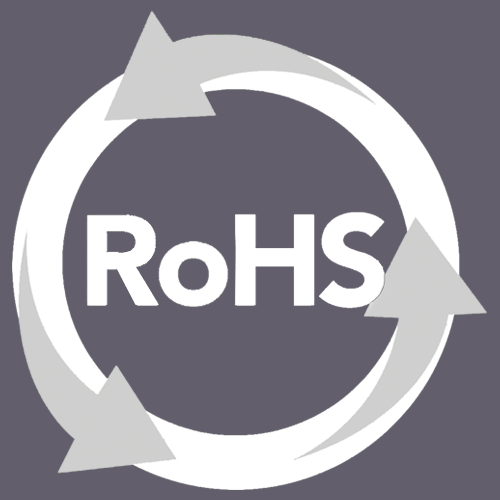 Self-cleaning color is a true innovation that brings value for the customer. 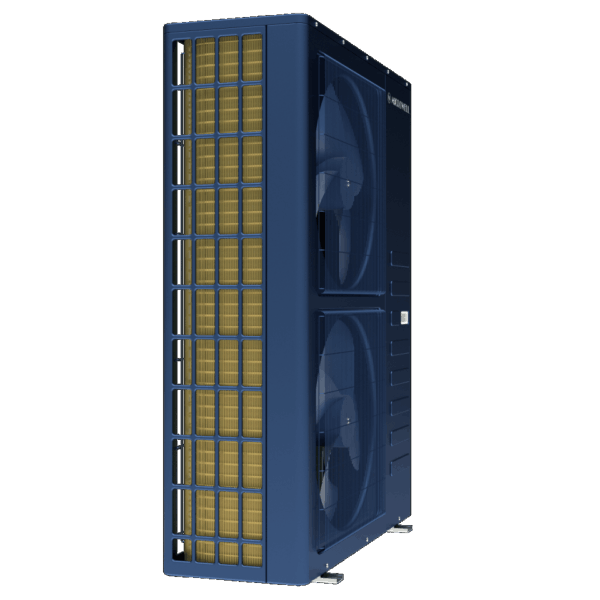 Heat and cool with one device. 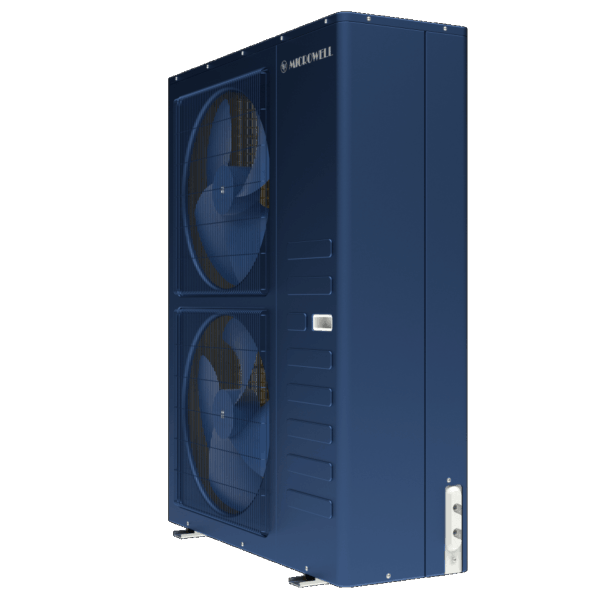 Heat pump HP 2300 SPLITINVENTOR is designed for heating and cooling. The control is very simple. 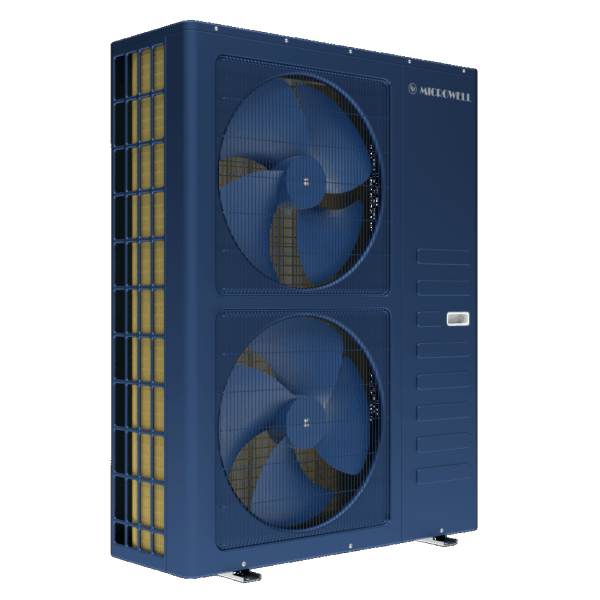 When you set your desired water temperature, the heat pump will automatically heat or cool to keep your desired temperature. 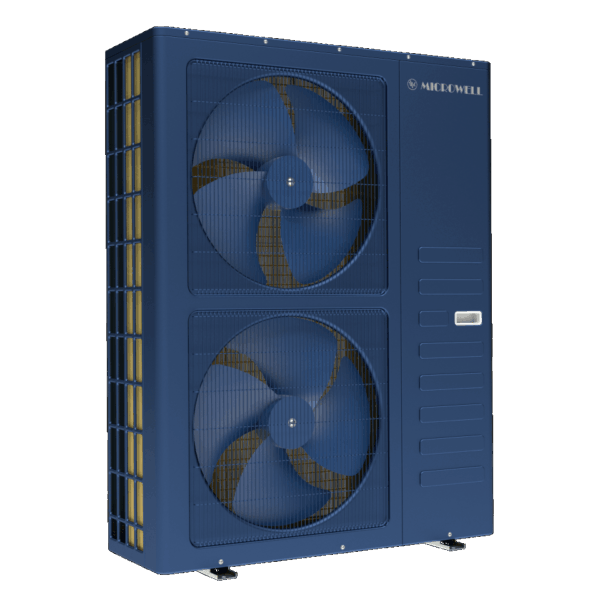 HP 2300 SPLIT INVENTOR provides with up to 20.1 kW cooling output. 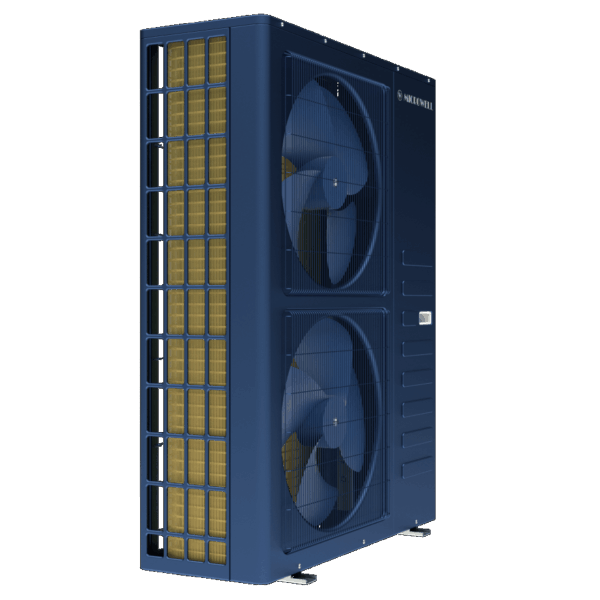 How is heat pump so efficient? 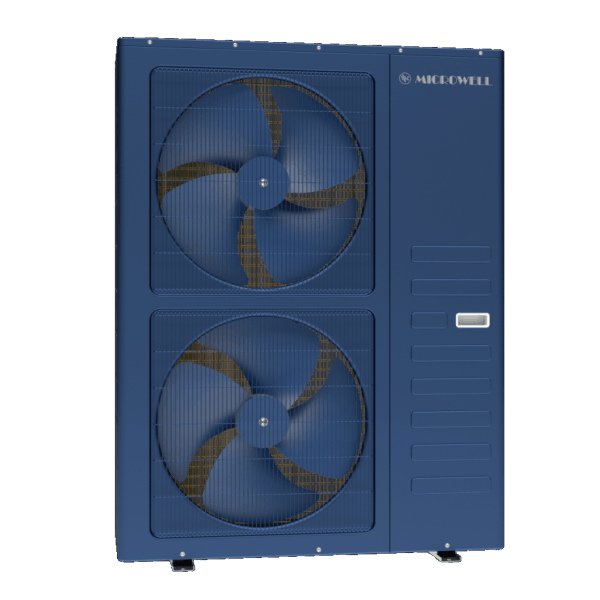 Microwell HP 2300 SPLIT INVENTOR heat pump is able to extract the heat/cold that is present in ambient environment and leveraged pass it into the pool water. 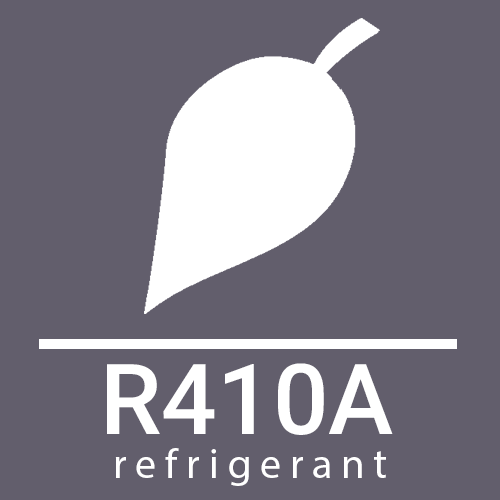 If you take your refrigerator, it creates cold inside the fridge by releasing the heat from the back. 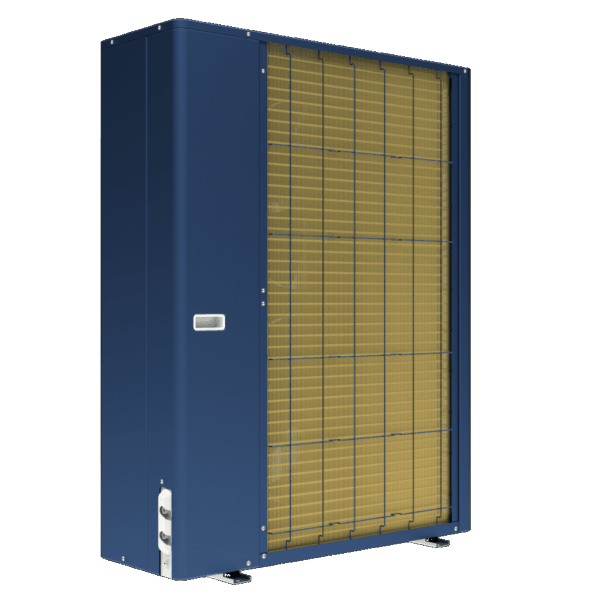 Heat pump takes the heat (energy or calories) from ambient air and transforms it into the water. The surrounding air cools down in the process. 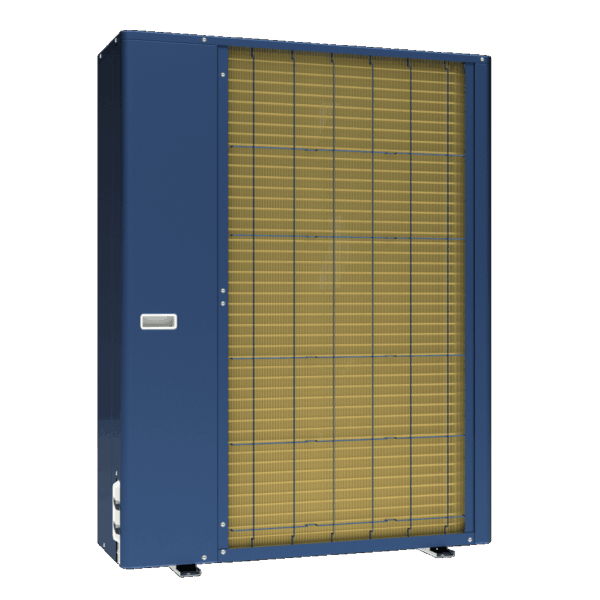 When working in cooling mode, the excessive heat from water is passed into surrounding air. 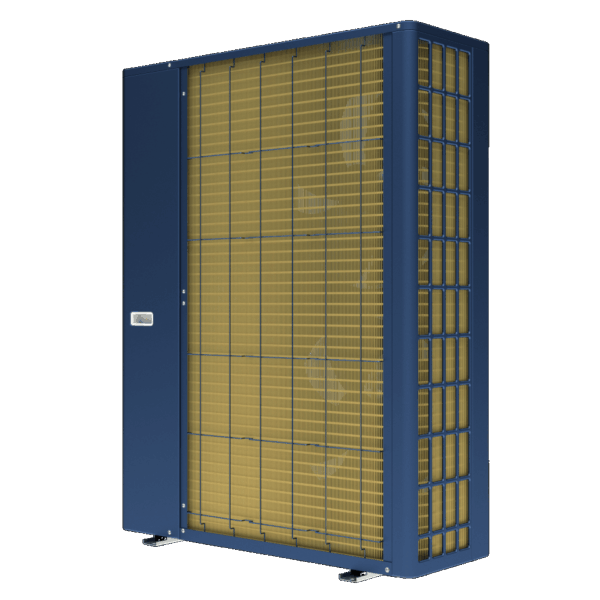 When heating, higher the ambient air temperature is, more free energy can the heat pump extract and thus reach higher efficiency. 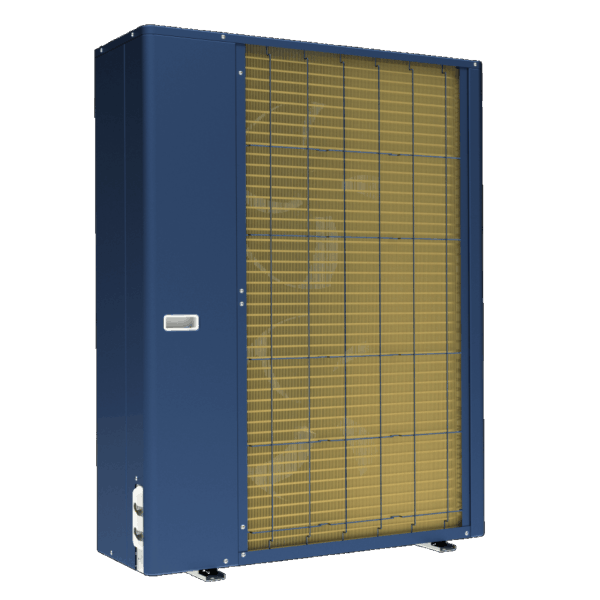 At favorable conditions you pay around 15% of heat, i.e. 85% of heat is free. 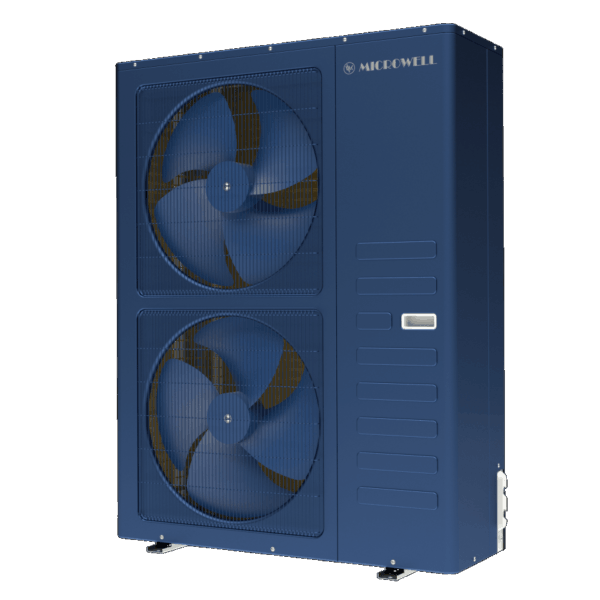 Microwell heat pump is built on currently the most eco-friendly refrigerant R410A. 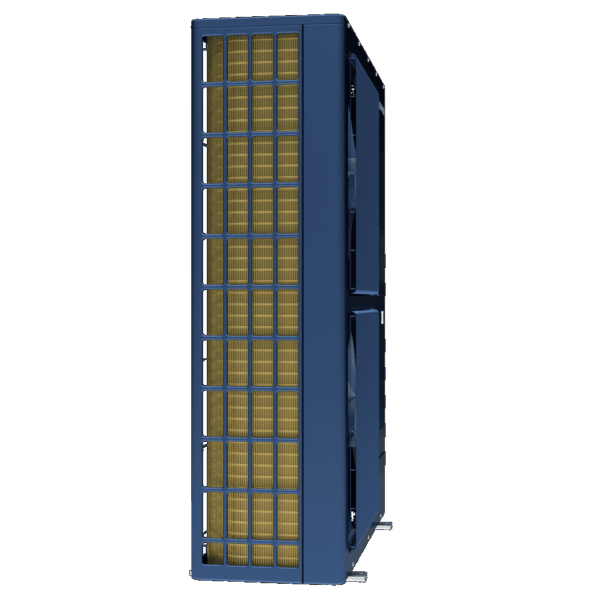 Compact / Split. 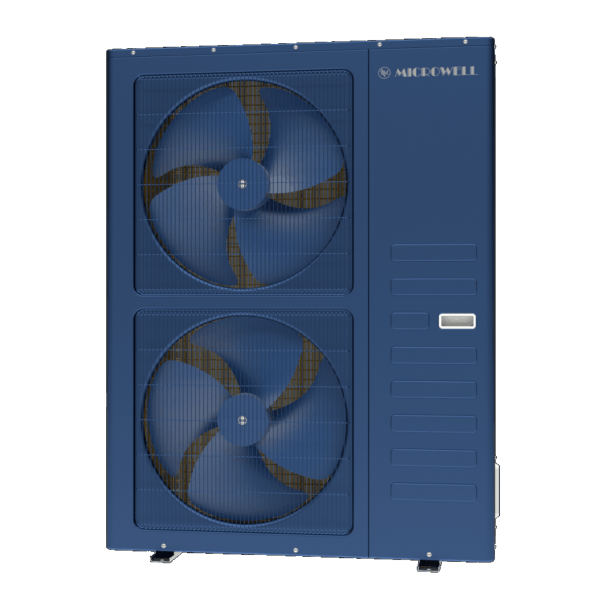 Microwell heat pumps are designed as compact or split machines. 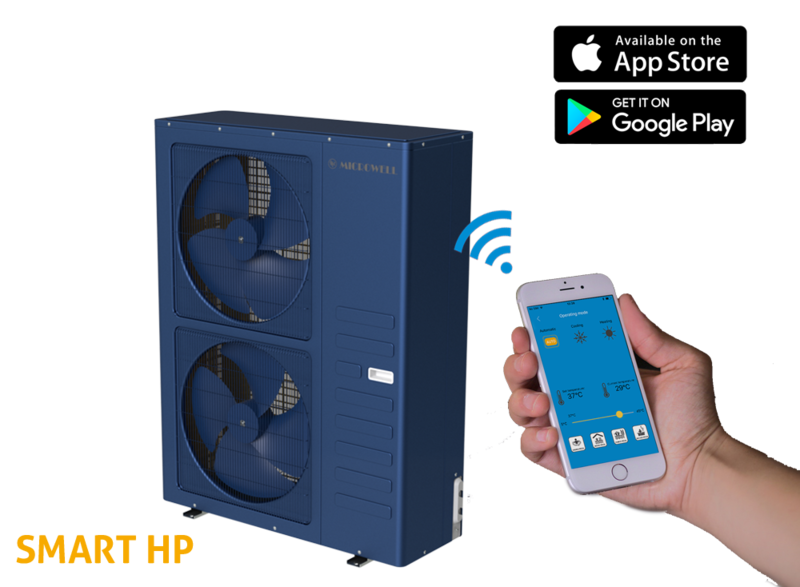 A Compact unit (HP 2300 COMPACT INVENTOR) is a one-box device that requires water and electrical connection. 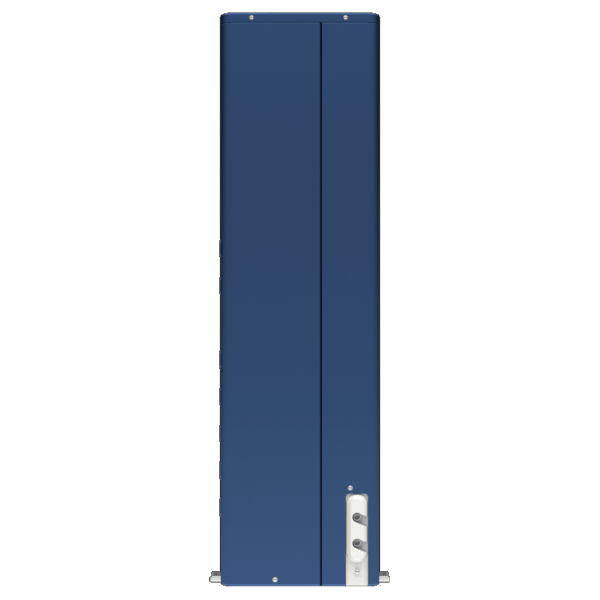 Its advantage is simple and quick installation. Disadvantage is that it is typically installed few meters from pool which may lead into visual or noise disturbance. A split heat pump (HP 2300 SPLIT INVENTOR) is just like a split air conditioner or ceiling cassette air conditioner. The idea is to have warm or cool water at no visual or noise disturbance. 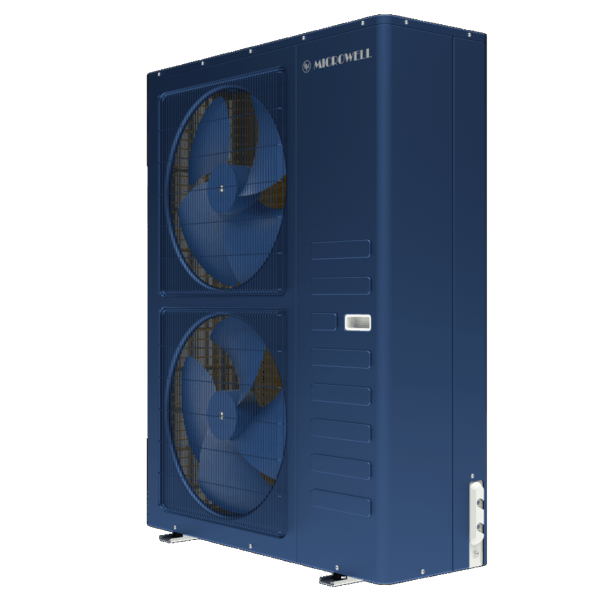 Split heat pump can be installed as far as 30m away from pool. 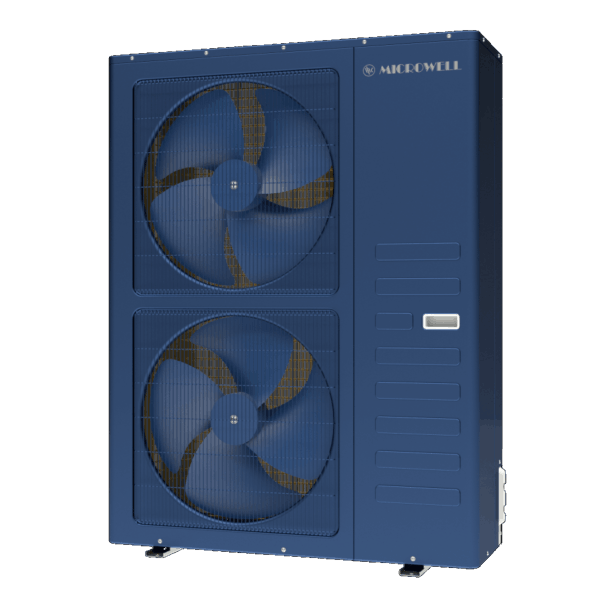 Typically the unit is hidden by the house, on the roof or in the backyard behind trees. This is also very safe for children. 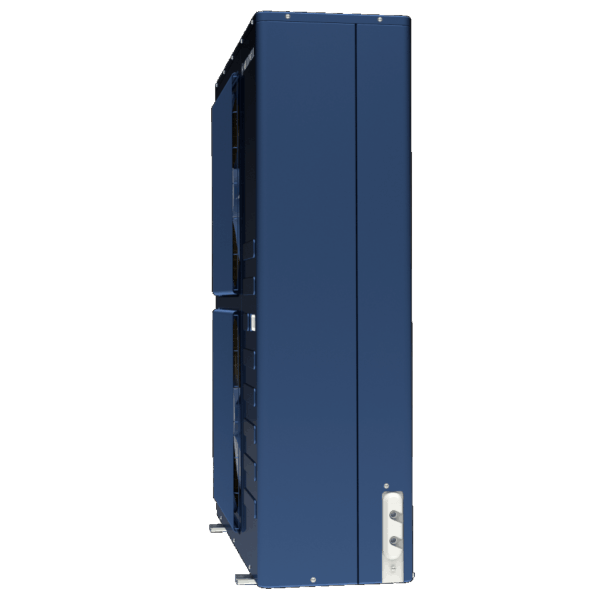 HP 2300 SPLIT INVENTOR is equipped with Microwell unique microECONOMY+ feature offering the most economy circulation pump control. 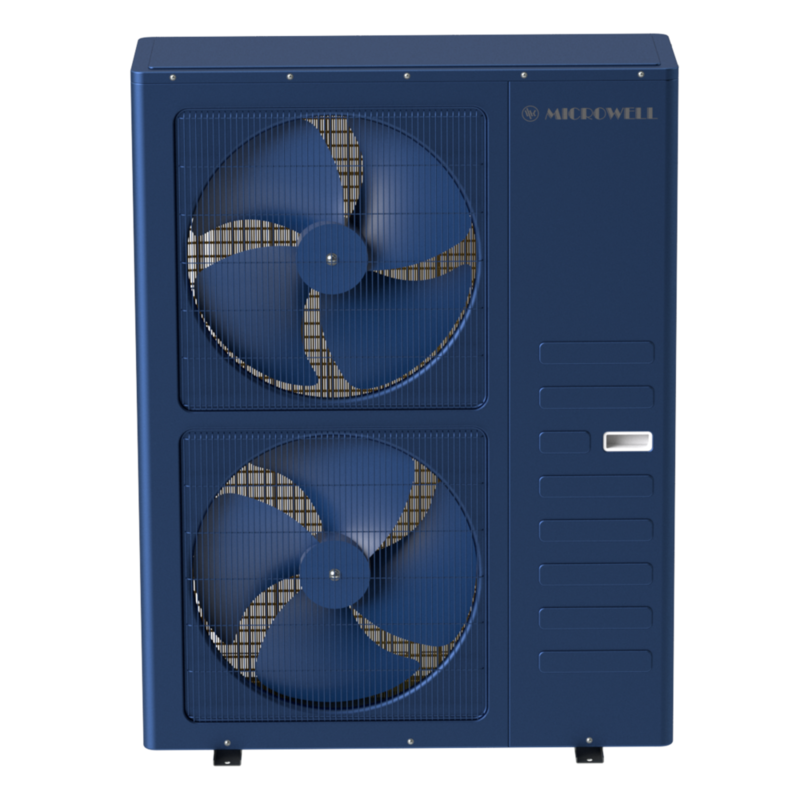 Microwell swimming pool heat pumps can be connected to existing water system (filtration) or it can have an individual circulation pump. 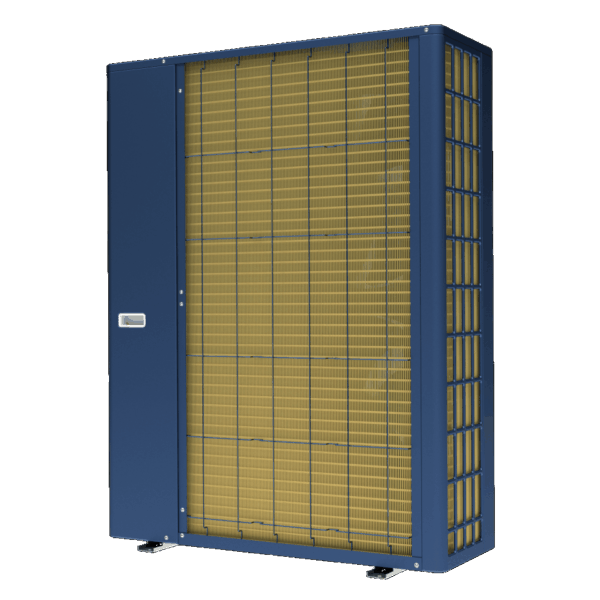 A swimming pool heat pump needs continuous water flow to heat or cool. 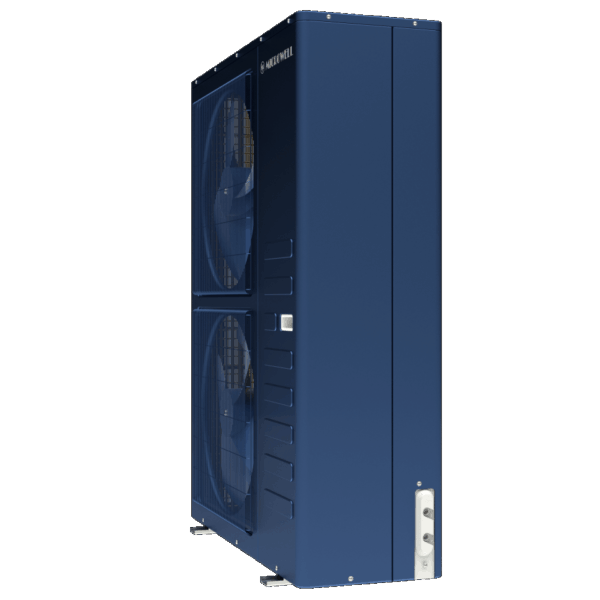 HP 2300 SPLIT INVENTOR tells the circulation pump when heat pump needs to heat or cool. The circulation is turned on and off according to this request. 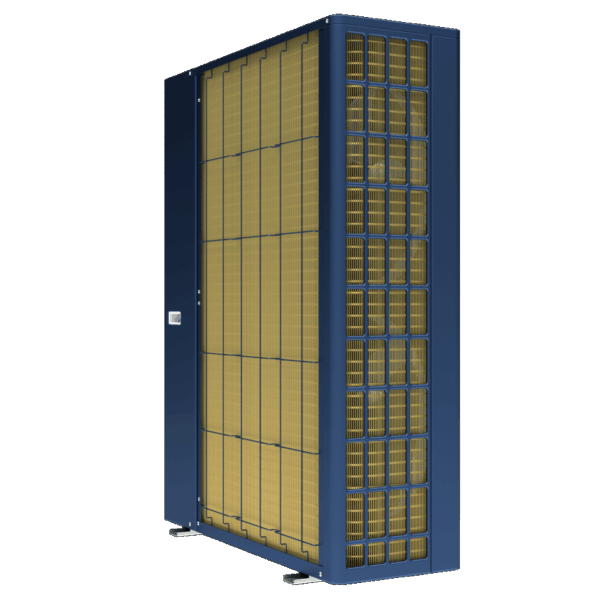 Microwell applies specially designed software that will sample the water and also put the whole system into sleep for the time when heating or cooling is not required.  This saves precious energy and results in lower operational costs of the pool. Full year heating. 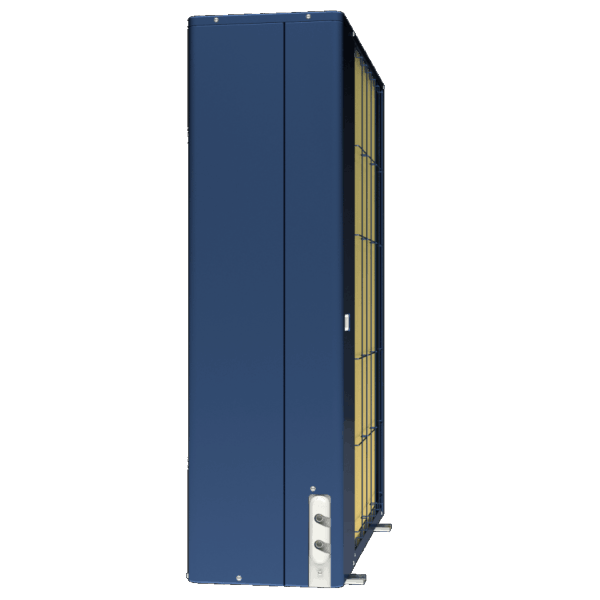 HP 2300 SPLIT INVENTOR is also designed for a full year heating, particularly winter time. Typical winter can experience air temperatures -15°C. 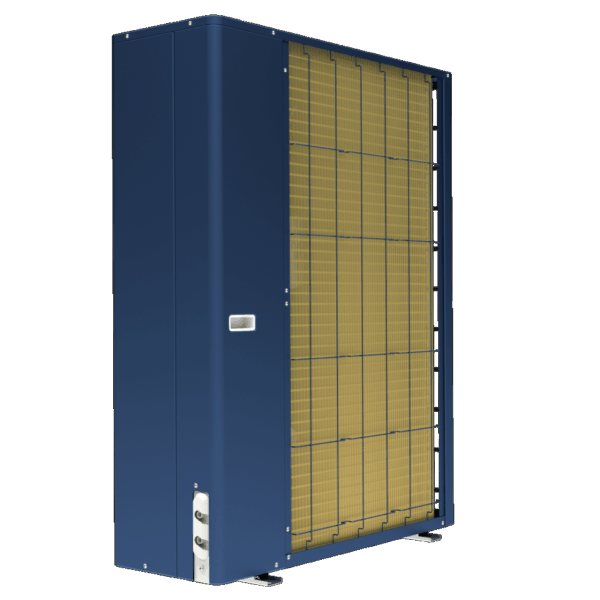 Heat pump thus needs to be protected against possible frost damage and equipped with systems that will keep the heat pump’s performance at desired level. Titanium. 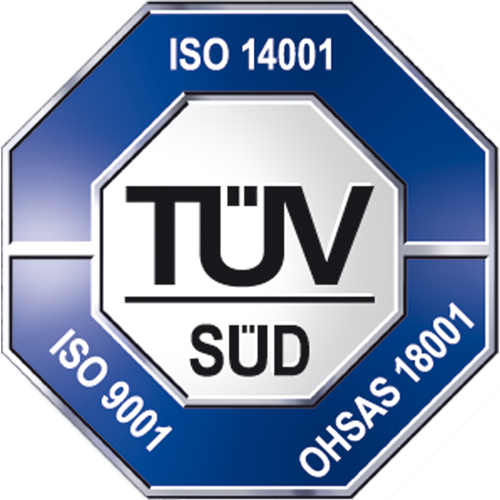 Amount of titanium is very important to a swimming pool heat pump. 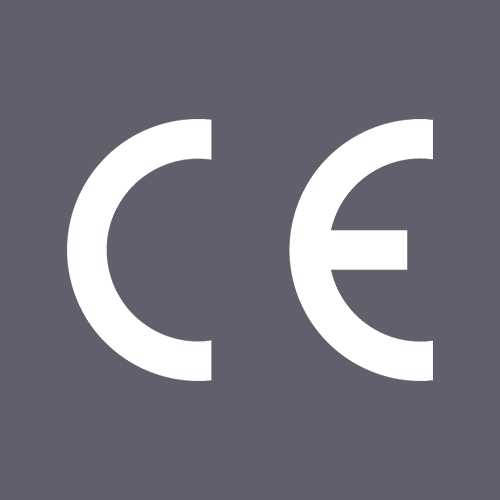 The amount talks about the actual heat transfer area, i.e. 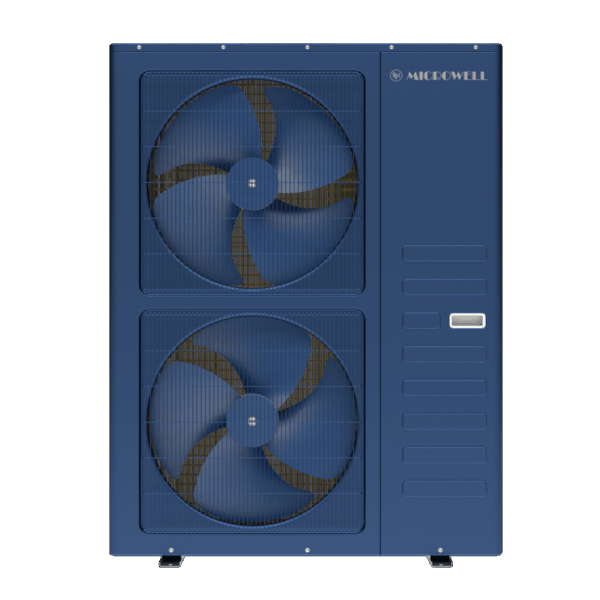 power and efficiency of each heat pump. 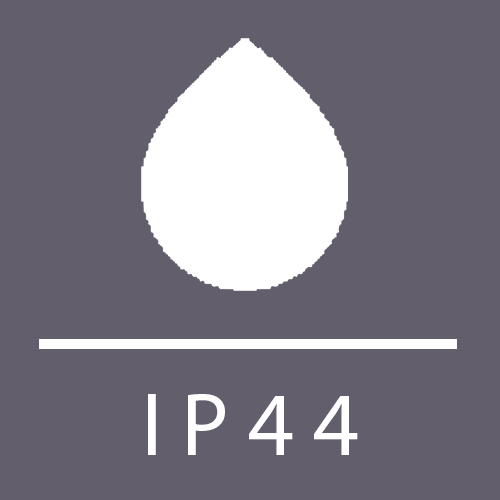 Microwell is proudly using 40% more titanium in heat pumps’ water exchangers. This maximizes the performance and efficiency COP&EER far ahead of others. 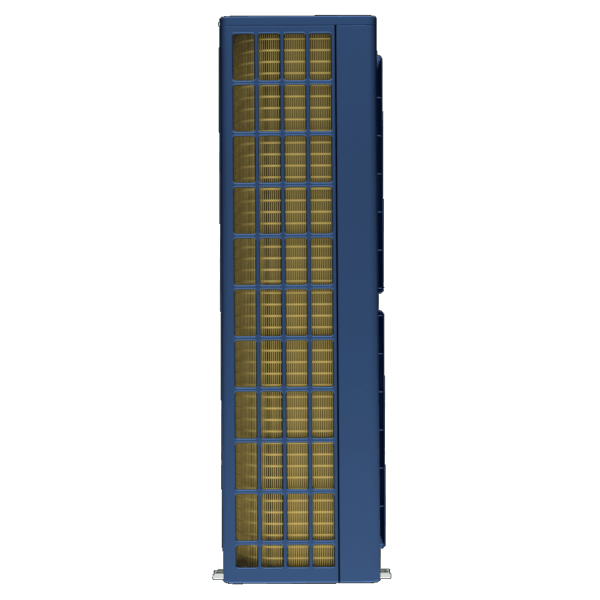 HP 2300 COMPACT uses 1.13m2 of titanium whereas others use less than 0.25m2. 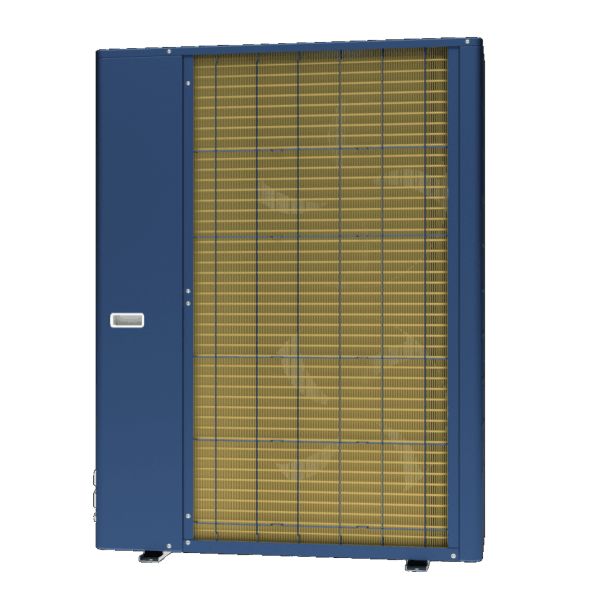 Microwell heat pump is only 1250mm high and 360mm deep. 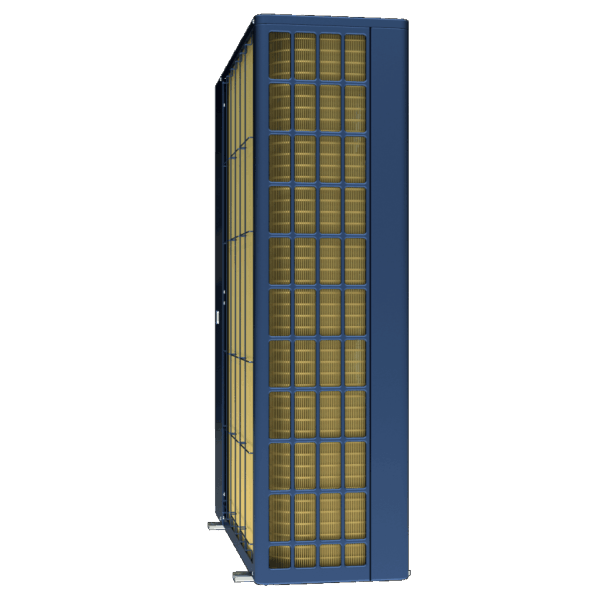 This saves space and does not protrude in the garden. 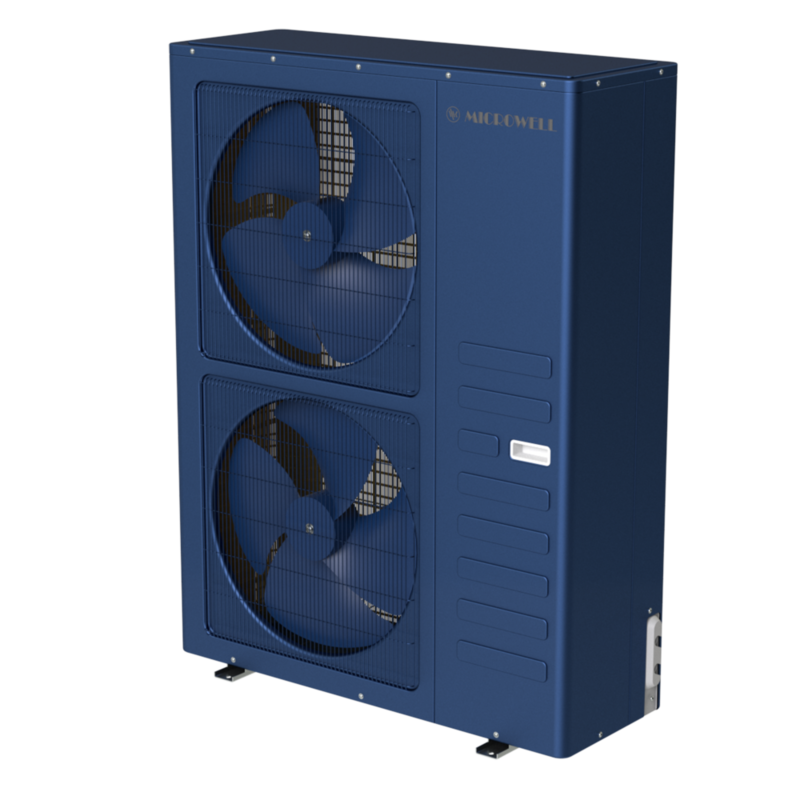 Microwell HP 2300 SPLIT INVENTOR consumes on average 3.59kW while heating to 23kW (air temperature 26°C, water temperature 26°C, relative humidity 63%) at 38dB(A) only confirms how well designed and manufactured the pumps are. 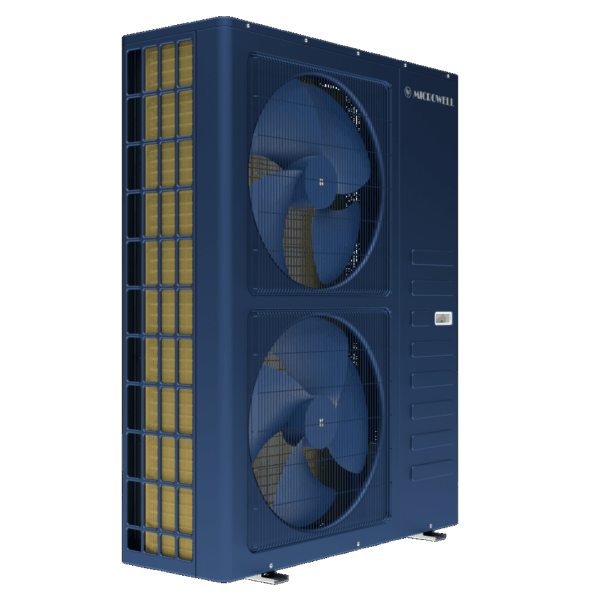 If you need assistance in sizing the right heat pump for you please use our online HOW TO CHOOSE tool. 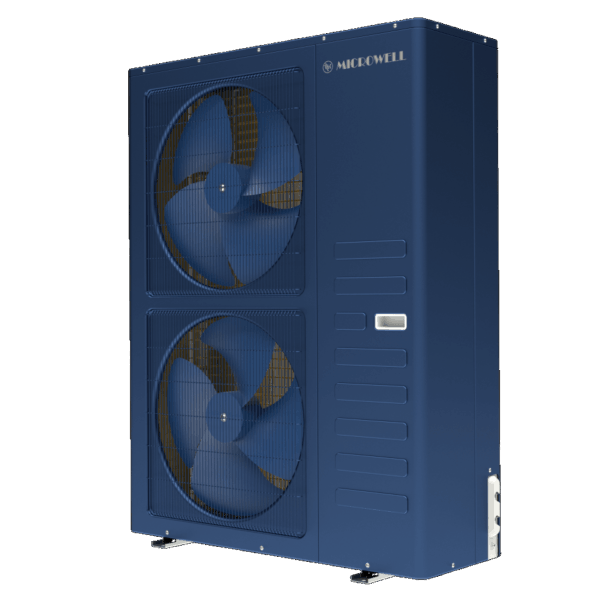 Or click on HOW CHOOSE A HEAT PUMP on the left side of your screen.